Raven Jackson was a T. Howard Foundation Final Talent Pool member in 2016 but did not receive an internship that summer. Not one to give up, Raven secured a 2017 fall internship through THF at truTV and things took off from there! I found out about the THF Internship Program while attending the St. John’s University Career Fair. It was my first semester of sophomore year and I switched my major from biology to communication arts. I was nervous about making the transition because all my life I wanted to work in STEM. However, I knew my passions were in the arts. Most of my concerns centered on job security within the media industry, but my friend convinced me that changing my major would be a good decision. We went to the career fair because we were bored, to be completely honest, but curious about the career possibilities within my future industry. I remember seeing a green and white banner with logos of various media companies such as BET, HBO, and Paramount. It caught my eye and of course, it was the THF table. I took the materials from the table and submitted my application. I applied to THF because of the mission to increase diversity in the media and entertainment industry, providing students with professional development training, and for the networking opportunities. The THF staff contacted me for an interview and I became a 2017 FTP member. Unfortunately, I did not secure a summer internship, but I participated in the FTP webinars. Of course, not securing an internship was disappointing, but I did not see it as a loss. I saw it as an opportunity to improve my application for the next internship class. During the fall semester of my junior year, I received an email asking my interest in an on-air promotions internship at truTV. My internship was amazing, and I loved going to work every day. I wrote scripts for promotions, shadowed the editing team and attended meetings for new creative projects. I re-applied to the Internship Program because of my success in the fall. I saw the opportunities I could benefit from being a 2018 FTP member. I was a FTP re-admit, and I continued to intern at truTV for the spring as the production operations intern and the summer as the original programming and development intern. My experience with THF was beyond anything that I could have imagined. Overall, my experiences strengthened my skills and attributed to my success. 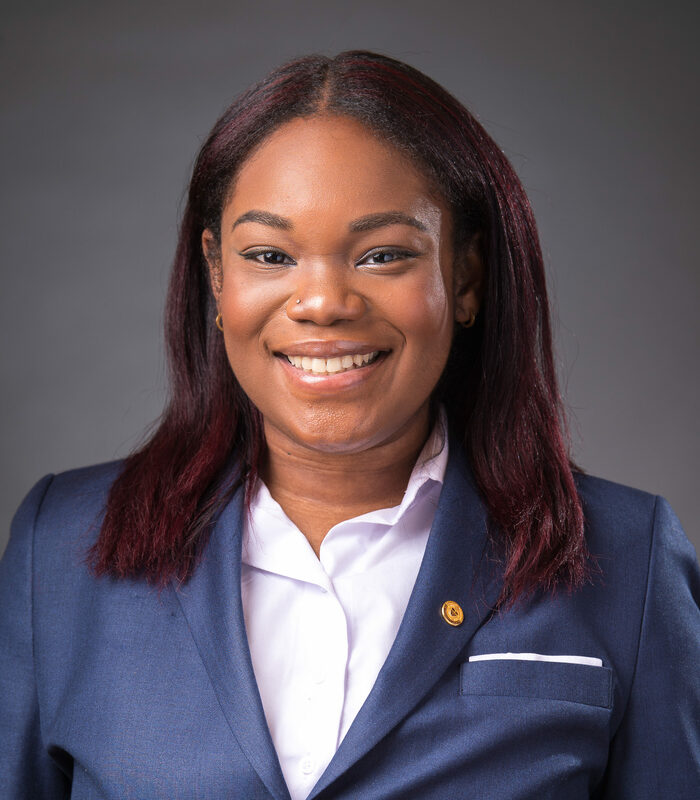 Raven Jackson is expected to graduate in May 2019 with a bachelor’s degree in communication arts from St. John’s University.